USAID BERSAMA is committed to coordinating and collaborating with government partners. To facilitate this coordination, USAID BERSAMA has scheduled regular quarterly meetings with the government in each district. 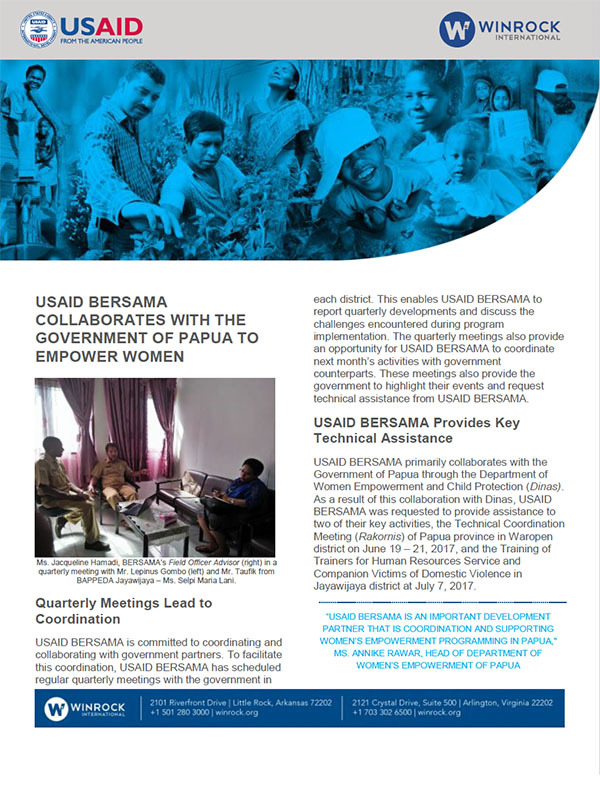 This enables USAID BERSAMA to report quarterly developments and discuss the challenges encountered during program implementation. The quarterly meetings also provide an opportunity for USAID BERSAMA to coordinate next month’s activities with government counterparts. These meetings also provide the government to highlight their events and request technical assistance from USAID BERSAMA.